Summer is almost, but winter will be back soon and what better way to spend a fall or winter week or weekend in warm Miami? 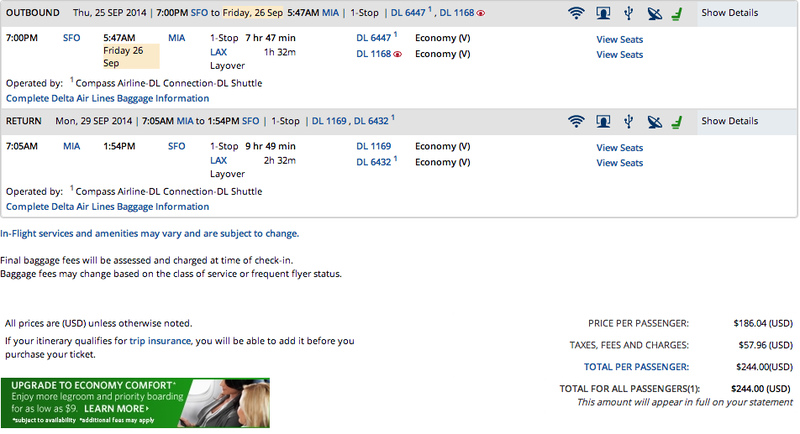 Right now roundtrip fares including all fees and taxes are only $244 on Delta from SFO-MIA. We have checked fare availability and looks like its good over Labor Day holiday as well. Upgrade to Economy Comfort seats starting at $9 as well. – Good late August, 2014 – November 19, 2014. Miles: 5,356 miles or 4.5 cents per mile.